“What business is McDonald’s into?” was the question once asked by the founder of McDonald’s Ray Kroc to graduating students of a prestigious Management school. 14 May What is the Business of McDonald’s? “What business is McDonald’s into?” was the question once asked by the founder of McDonald’s Ray Kroc to graduating students of a prestigious Management school. Most of the students quickly replied, “Selling hamburgers and fast food”. Ray Kroc smiling replied, “We are a Real Estate Investment Trust (REIT)”. A lot of us don’t realize that McDonald’s isn’t really a burger selling restaurant chain. Well, it is, but not purely. Peel back the layers and you’ll find that the corporate entity is actually one hell of a real estate company. The fast-food giant came from humble beginnings. The McDonald brothers, sons of Irish immigrants, first opened up a hot dog stand in 1937 in Pasadena before venturing out to open their first restaurant. 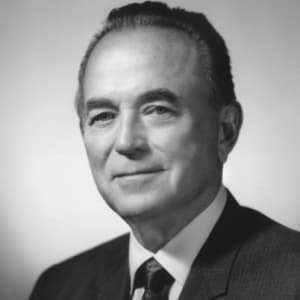 Ray Kroc, after six years of working with the McDonalds brothers, elected to buy them out and became the owner of McDonald’s Corporation in 1961. Instead of making money by selling supplies to franchisees or demanding huge royalties…the McDonald’s Corporation became the landlord to its franchisees. They bought the properties and then leased them out – at large markups. In addition to that regular income, the corporation would take a percentage of each shop’s gross sales. Today McDonald’s makes its money on real estate through two methods. Its real estate subsidiary will buy and sell hot properties while also collecting rents on each of its franchised locations. McDonald’s restaurants are in over 100 countries and have probably served over 100 billion hamburgers. There are over 40,000 locations worldwide, of which only 15% are owned and operated by the McDonald’s corporation directly. The rest are franchisee operated. It’s a brilliant strategy. Being able to collect on rents helps insulate them from the ups and downs of the business. You have to make rent after all. The success of McDonald’s can also be attributed in part to the taste of the iconic fast food chain’s shakes and burgers. But the real secret sauce has everything to do with how the company has quietly become more a real estate company than a restaurant chain. Additionally, in the last two decades, real estate values have increased, which means the overall collateral value of the company’s property has increased, too. So when McDonald’s wants to borrow money to make new investments, it can do so at relatively cheap rates. McDonald’s is a great example of how diversification helps to not just grow a business’s income but also lower its financial risks. McDonald’s is both a fast food and real estate business. Learnings from McDonald’s for entrepreneurs or start-ups is that whatever business you might be having, you need to plan for “Business Insulation” i.e. to insulate it from any external factors like economic recessionary pressures or from the competition. Always try to have a backup plan which can keep your business afloat even in turbulent times. Does your Business has a backup plan?… (If not, then reach me on riteshmohan@yahoo.com, I would be more than willing to render help to my retail fraternity members). Ritesh Mohan is a passionate Retail professional with over 20 years in the retail sector, handling some of the biggest brands in beauty, fashion and fragrances retail & FMCG sector. He has been instrumental in the growth of some of the regional brands as well in Middle East region. He specializes in Retail management, Product development, Brand management, Retail Operations, Sales Management, Business Management & Empowering business owners with his wisdom & experience of around two decades in the industry. Brilliant business model playing safe in reality sector. thanks, Rajendra for your views. I am glad you liked the article.